Andy, Trent, and Joe take on Vasel’s and Quinn’s Law in an episode that proves Murphy’s Law. In this episode of The New Ones, Craig talks London: Second Edition, Gier, Smile, Fidelitas, and Best Treehouse Ever. Paul is joined by Gil Hova, talking about his new game High Rise, and the decision to pull the game off Kickstarter after only one day. Mar 5 The Dirtbags of Holding #126: "How Do I Get My Players to Role Play?" In our first topic roundtable episode, Chris, Cory, Philip, Jimmy, and Chris talk about how you can help encourage people to get into character at the table. Don and Erik dive into another batch of reviews. Which games did they like and which did they hate? Take a listen to find out. 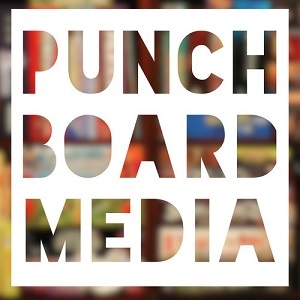 This week comedian Jo Firestone joins us to judge our terrible board game pitches. Can we make her laugh with our ridiculous game ideas? Boards Alive reviews Treasure Island and discusses Mansions of Madness Horrific Journeys, Quacks of Quedlinburg, Teotihuacan, and Marrakech. Donny and Travis return to Low Player Count after four unexpected months off. In this episode, they explain where they’ve been, what they’ve been doing, and what’s going on in the future. Chris, Darrell, and TC talk about games that tell stories through thematics, mechanics, and emergent play. Feb 28 The Dirtbags of Holding #125: Blades in the Dark Pt. 6 "Mr. Goodbody"
Chris, Cory, Philip, Jimmy, and Chris try and hold a fundraiser for a rich member of society in order to steal from them in this play through of John Harper’s Blades in the Dark RPG. The full GBU crew interviewed Tom Russell of Hollandspiele (before it was cool). In this episode, Craig is joined by Eric Buscemi to wrap up Craig's weekend board gaming trip to NYC. In the family segment, Tyler talks Exceed, Duelosaur, and Betrayal Legacy. Isaac and Adrienne talk with Sara Perry about inclusion at the game table.